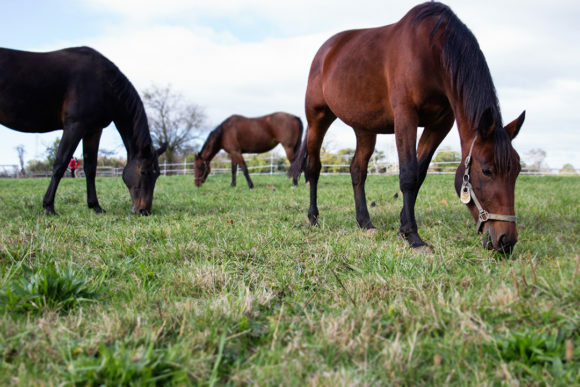 Share the post "Rutgers 2019 Horse Management Seminar Scheduled for Feb. 10"
Carey Williams, equine specialist and associate director of extension at the Equine Science Center, is confident that the presentations, focused on an area not covered in any previous horse management seminars, will provide valuable information for everyone. “Our goal for this workshop is to bring in the leading experts in each of these topic areas. This includes broodmare and growing horse nutrition, care of the stallion and new reproductive advances,” said Williams. Williams has assembled presenters who are recognized as the leading experts in their field to offer perspectives and personal insight at the seminar. Experts include Ed Squires from the Gluck Equine Research Center at the University of Kentucky, who is a leading contributor in the field of equine reproduction in the U.S. Other experts include local veterinarian Dan Keenan from Foundation Equine, who is a specialist in equine reproduction, Amy Burk, who leads the equine breeding program at the University of Maryland, and equine management specialist Paul Siciliano from North Carolina State University. The seminar will also feature research being conducted by graduate students in the Rutgers equine program, plus informational displays, networking opportunities with industry and area organizations, and ample time for one-on-one discussions with the day’s presenters. Complete registration information is available at the Equine Science Center website. Space is limited and the early bird discount for registration ends on January 28. Parking in a university lot requires a pass, so be sure to register your vehicle.